I'm giving the boy two more weeks to complete the last quarter and close the school year. I am on panic mode since end of May. We are delayed (as expected), and just like last year, his year-end testing and assessment with our academic adviser is set at the end of this month. He'll be done with grade 6. He is going to be graduating from middle school and the ceremony is scheduled at the end of September. I can't believe we will have a graduate and that we made it through two years of homeschooling!!! June 2014 - our giant leap to homeschool. As I look back to when we decided to take this road less traveled (feeling poetic lang, pagbigyan niyo nako), I feel we did the right thing for our boy's education. But it was a very long, rough and winding road. I've shared my fears and frustrations in previous entries, and I still feel them, though less this time. We've all learned to relax and focus on his interests, recognizing his learning styles and pace. The first year was hell… mainly for me. I think it was also challenging for my boy and I feel sorry that he had to deal with his monster-teacher-mom 24/7. With the encouragement and inspiration from other homeschool families, our adviser, and my husband, we were able to hurdle the very difficult first year. I still feel that we could have done more, that he needed to learn more lessons, more tests, or went to more educational trips. He did well after assessment, but I was not totally satisfied with our output and, unfortunately, time was not on our side. Kulang na kulang yung 12 months per school year sa pacing niya. Nababagalan ako. It was frustrating. I know I'm partly at fault kasi ako ang teacher. I don't make it "fun" daw! Hayyy! We are just so lucky that he's a fast learner and he was assessed to have high cognitive skills. Kulang lang sa EQ, and I know that's even harder to develop and improve on! We still have so much to improve on. Lots of adjustments pa rin, more trial-and-error, and a change in attitude. There will always be challenges. I need to be more patient, more creative and "fun", more organized. The boy needs to have a sense of urgency, be more focused on his studies, be a more responsible and independent learner. He loves science and he's interested in history. He prefers reading lessons over written tasks. He used to be neutral with math but he dislikes it lately even if I tell him he's good at math. Filipino is a constant struggle, and he badly needs to improve on writing and composition. 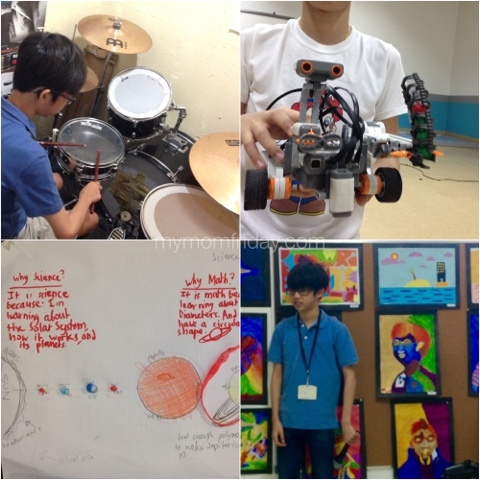 Robotics, coding and programming, art, parkour, swimming and drums are his interests. We'll continue with his classes in those subjects. He loves the flexibility of homeschool. Originally, our plan was to homeschool for two years and then transition back to conventional school. His sister is still asking us when big brother will go to her school. At this point, we will continue with homeschool as long as necessary and until we feel he is ready for the next phase. We feel this is best for him. I'm trying to think positive as we end this school year and begin a new journey to high school (and the teen years). Scaryyyy!!! 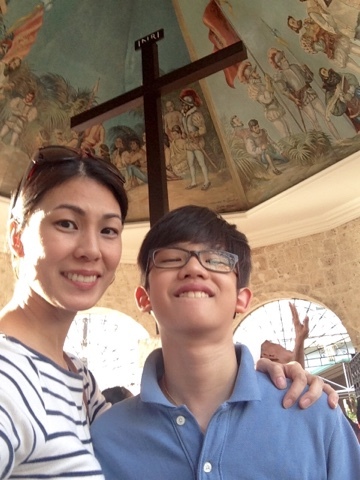 I hope and pray that we can provide a truly enriching learning experience for him while we are homeschooling. Sh*t, ibang level na 'to! Send us prayers and good vibes!!! Grade 7, here we come!